A Show that is Seriously Funny! On the night of September 22, 2018, Jeff Foxworthy will perform at the Mansion Theatre where you will find yourself rolling on the floor with laughter. As one of Branson shows that is seriously funny, Jeff Foxworthy is sure to give you a great time as the show features some of the best comedy acts known in the industry. 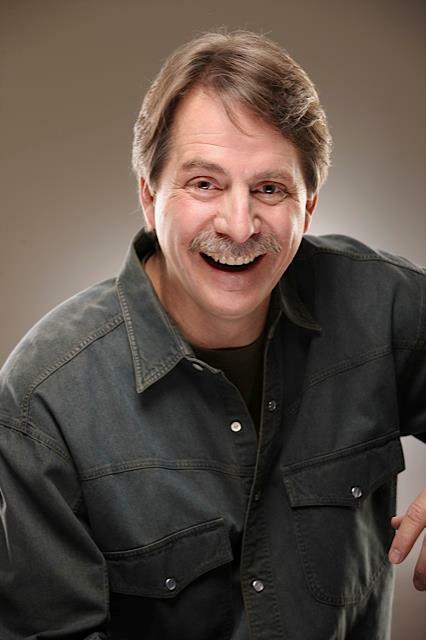 There’s no other family-friendly comedy show in Branson to see than one from Jeff Foxworthy. This multi-talented performer has so many interesting endeavours under his belt that have all contributed to his success and charm. Aside from writing 26 books, he has sold millions of copies of his comedy album, starred in multiple TV series, and has hosted many events and shows. After the release of his first comedy album in 1993, Jeff Foxworthy started to come into success with his “You might be a redneck” bit. Since then, he was nominated for several Grammy Awards, starred in The Jeff Foxworthy Show and The Blue Collar Comedy Tour, as well as hosting a radio show. A TV superstar and comedian extraordinaire, Jeff Foxworthy is no stranger to Branson, MO – he has appeared in various venues and theatres in this popular tourist destination over the years. This limited engagement Branson show will give locals and visitors alike the chance to fit the famous funny man into their itinerary, with an afternoon matinee show and a second evening show. Jeff Foxworthy will perform a series of shows that is sure to have everyone in the audience laughing out loud and creating memories they won’t ever forget. From his solo, stand-up comedy performances to appearing alongside his fellow “Blue Collar Comedy Tour” companion Larry the Cable Guy – Jeff will bring his famous comedy back to the Branson stage for a set of performances that you can only see in this show. Get to enjoy with comedy’s greatest and most iconic personalities as he takes to the stage to share some of the funniest jokes, stories, and insights for two hours of entertainment that is sure to be the comedy highlight of 2018 in Branson. For more than 25 years in show biz, Jeff has been a part of American culture and the entertainment industry – performing in front of millions on stage and at home with many of his TV appearances. This seriously funny dude has sold more comedy recordings than anyone ever. He’s the recipient of multiple Grammy Award nominations and has sold millions of copies of his comedy album. Jeff has entertained millions of fans by hosting the television game shows such as Are You Smarter Than 5th Grader on Fox, and The American Bible Challenge for the Game Show Network. Foxworthy also starred in the self-titled sitcom, The Jeff Foxworthy Show, and he’s hosted on specials and events show, including the TNN Music City News Country Awards for three straight years. The Jeff Foxworthy Show at the Mansion Theatre is one of funny Branson shows where you will be rolling on the floor with laughter.